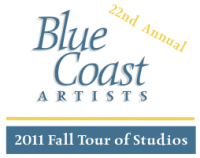 Get ready to explore the lakeshore’s scenic back roads as the 22nd Annual Blue Coast Artists Tour kicks off the first weekend of October. This year six artists will hold an open house in their studio/gallery featuring refreshments and demonstrations of how they work. Open to the public, the tour is free. Maps are available to guide visitors to the studios, but part of the fun lies in driving through the beautiful autumn countryside. Also make certain to check out our new Blue Coast Artists page, and learn not only who these creative people are, but when you can visit their galleries and studios during the rest of the year. And when you visit Khnemu Studio, don't be surprised when the friendliest turkey in the county follows you about, begging to be petted. On the night of September 8th, 1860 the passenger steamship Lady Elgin and the schooner Augusta collided in a terrible storm on Lake Michigan. The tragic loss of life has been called "one of the greatest marine horrors on record." Was it simply an "accident" or did something more than coincidence have a hand in the fate of the ships and their captains? Pumpkin season is upon us. Every front porch is about to display illuminated Jack O’Lanterns, and at least one of the desserts after Thanksgiving dinner will include a delicious pumpkin pie. 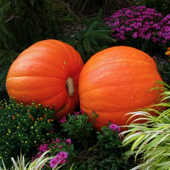 But don’t forget about the pumpkin between Halloween and Thanksgiving. To thoroughly enjoy one of autumn’s most nutritious and versatile vegetables, try one or more of the tasty recipes below. Don't forget to check out the Calendar of Events for October and November. We've also prepared an extensive listing of restaurants in communities along the lake. Fall is the time to enjoy the fresh harvest of apples, so LEL has compiled a list of Apple Orchards and Cider Mills along the lakeshore. History buffs will enjoy our Lighting the Lake section which features the Big Bay Point Light Station. So sit back and enjoy our latest Lake Effect Living. And let the lake work its magic on you.